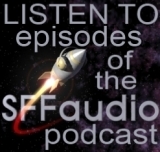 I’m running out of adjectives to describe Protophonic’s Brad Lansky series of lush science fiction audio drama. 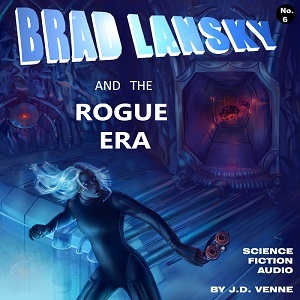 The latest episode is Brad Lansky and the Rogue Era, and it’s another gem. I admire the Brad Lansky series for a couple of reasons. First and most obvious is the sound. This production is a rich soundscape that invites a listener to settle in, eyes closed. Again, J.D. Venne (writer) and Dieter Zimmermann (producer) inspire the listener’s imagination by using aural cues instead of description to provide the setting for the story. Second, the Brad Lansky stories are genuine hard science fiction. 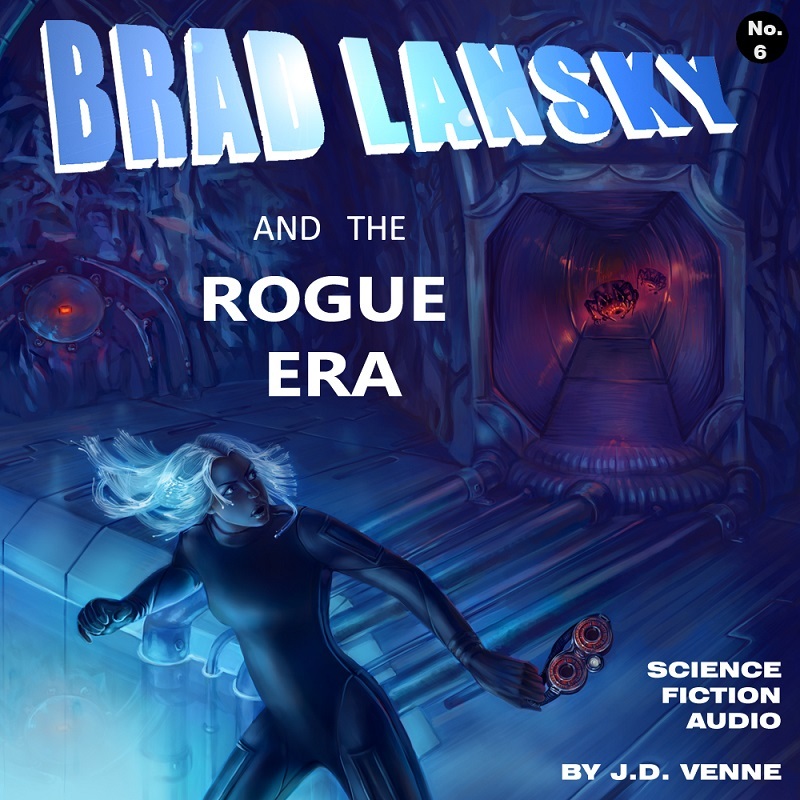 Brad Lansky and the Rogue Era opens with a speech given by Dr. Brinn Diaz, an augmented human. She discusses artificial life (a-life) and biological life (b-life). “B-life has been losing the race since the singularity a millennium ago,” she says. She is both “project and project architect”, having changed her body in various ways, including raising the number of brains on board to three. Brad Lansky and Dr. Diaz play an important role in an encounter with an invisible world that hurtles toward Earth, threatening to eliminate b-life for good. I highly recommend this episode and the whole series. It’s great fun and wonderfully rich unique audio. So, er, how do we listen to this? I can’t find downloads anywhere.